Last night a huge thunderstorm swept across Melbourne. As showers continued into the day, I decided to go to my sit spot. 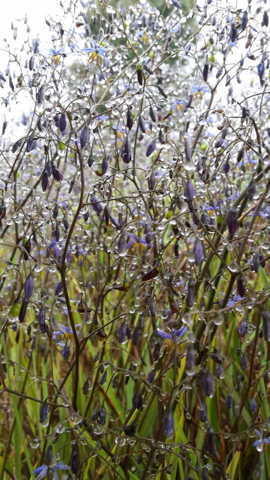 The little purple flowers were drenched in rain, the droplets glistening as they held on to the stems. The streams were full again, ducks happily swam along the creek. 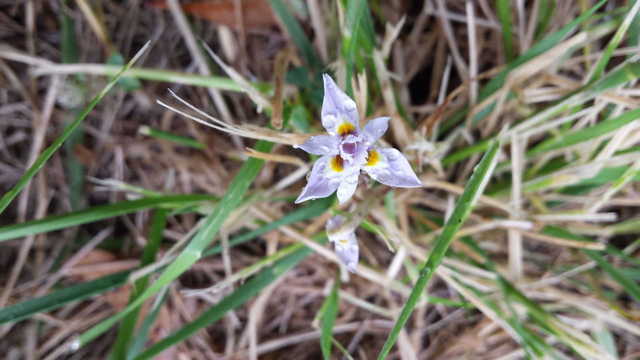 Until I walk past a lonely flower. That’s when I realize, I slowed my pace. Lets itself be, and defined by no one. Proud to display what it has to show. and open to acceptance of the harsh rain. As I walk along the creek, I breathe in the strong scent of the earth and the eucalyptus trees. This smell inspired two Australian scientists to coin the word “petrichor”. It’s a beautiful word to suggest that humans inherited an affection for the smell from ancestors who relied on rainy weather for their survival. The rain reminds me that everything, every living thing on Earth, needs water to survive. I hope it rains every now and then in summer. I can only agree as it is lovely to stroll along the creek after the rains!